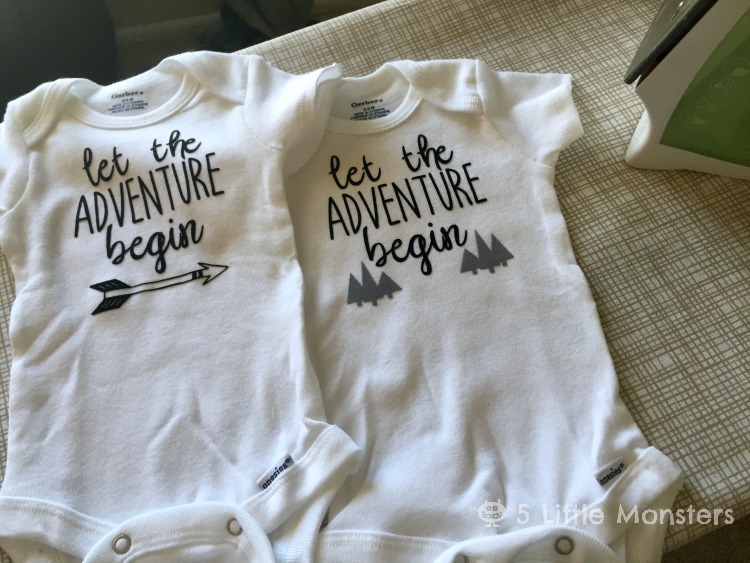 This month I am teaming up with Cricut to share some baby ideas using my new Cricut. This past weekend I finally had a chance to pull it out and play around with it a little. 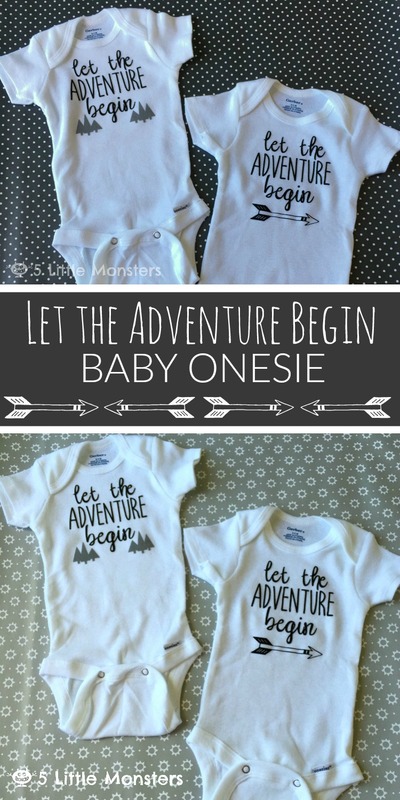 I wanted to make some onesies to use as baby gifts for some friends who are having babies soon. 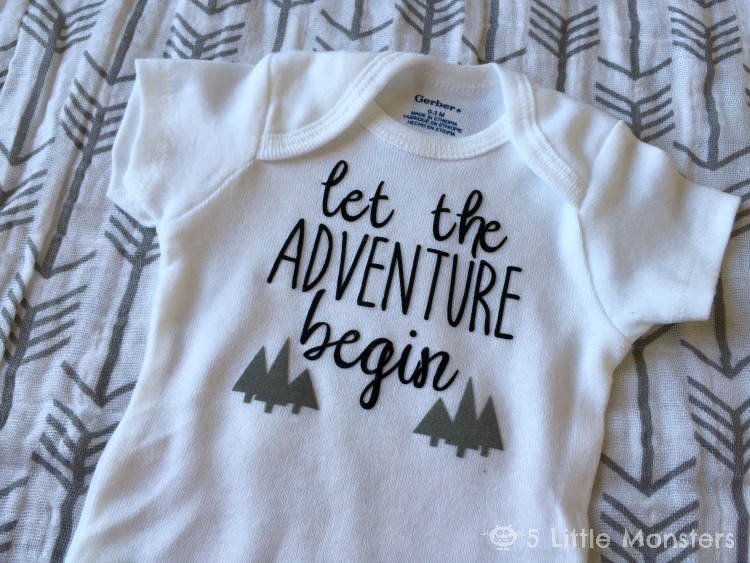 Since having a new baby is always a new adventure, whether it is your first or your sixth, I thought it would be fun to put "Let the Adventure Begin" on the onesie. I first envisioned it with an arrow to match some burp cloths I made recently but I had a hard time finding an arrow graphic that I liked. I finally just went into Picmonkey and used one from there, saved it as a png and added that to my onesie. It worked well and I was happy with how it turned out, however, since I used my own graphic I couldn't figure out how to save it and share it like that so I decided to make another version that I could share. For version number 2 I decided on trees. I thought that would also work well with the adventure theme. I found some little tree graphics and added them under the words on each side. 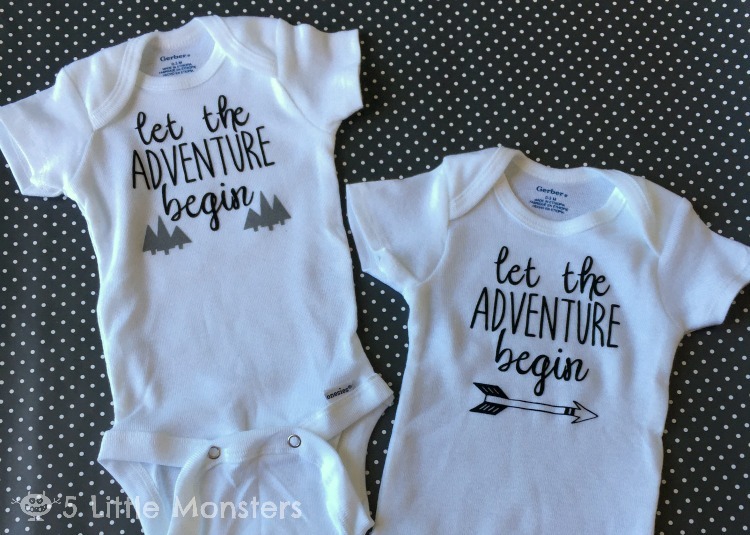 I used flocked iron on for each of the onesies, I think the softness of the flocked is kind of nice for little baby clothes. For the arrow version I cut everything out of black. For the tree version I cut the words from black and the trees from gray. They were both really easy to make. 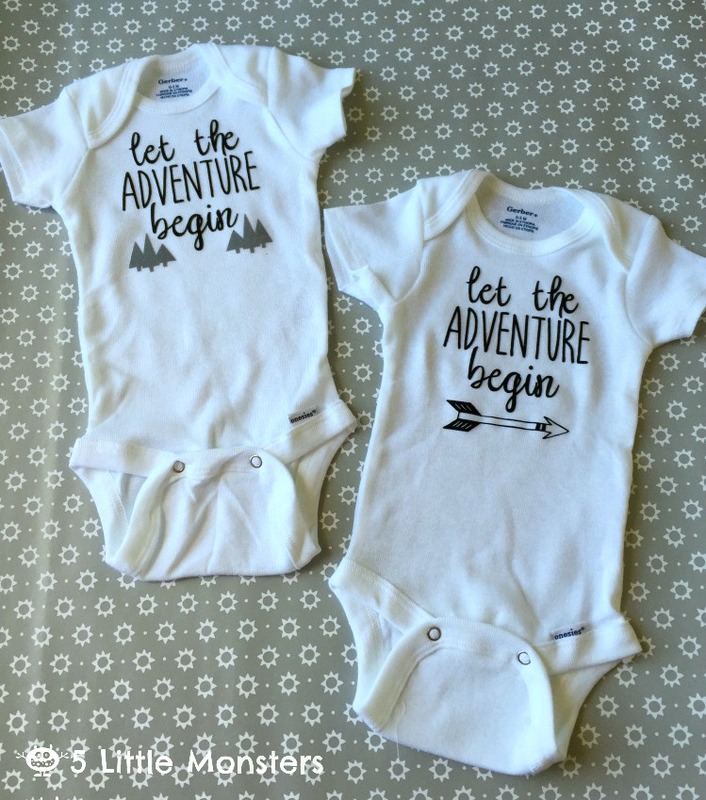 It was so fun to spend a little bit of time playing around with a design and then within minutes be able to turn that design into little baby gifts. And now that the designs are made I can make them again any time I want. 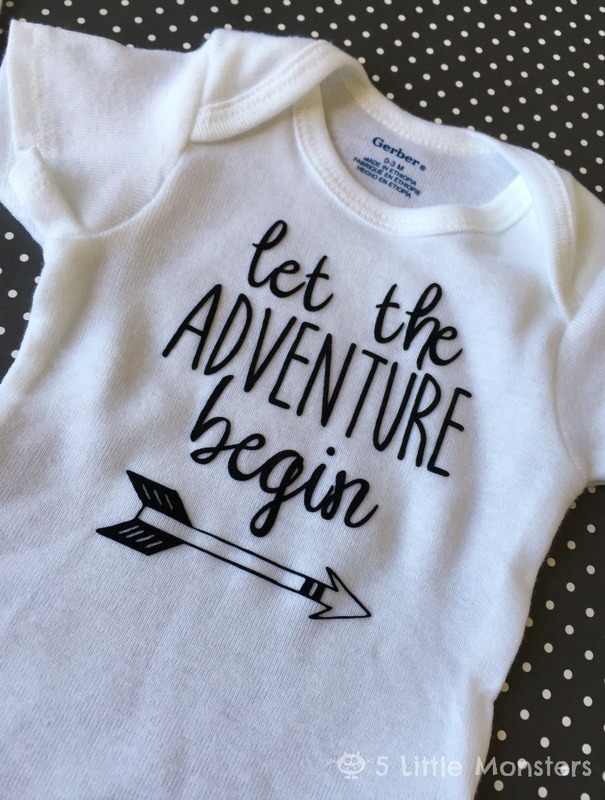 I think onesies might now be an addition to every baby gift I make and give because they are so easy and fun to make and you can put anything on them. 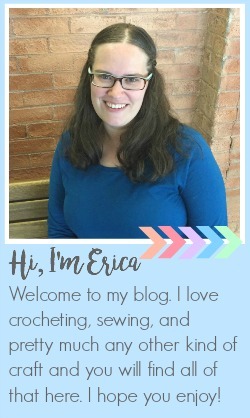 I am including links to two versions of the design in Cricut Design Space, one with the trees and one with the words only so that you can add whatever other elements you would like. Design size about 4" x 4"